One of my goals for the year was to have one or two things on my needles. I hoped to have my papaya cardi finished this weekend. Didn’t happen that way. I did manage to knit the collar and pin the sleeves in place but I did not seam them together yet. My daughter sent me some yarn to knit one of the Spud and Chloe Go Team hats with an argyle pattern for one of her co-workers. 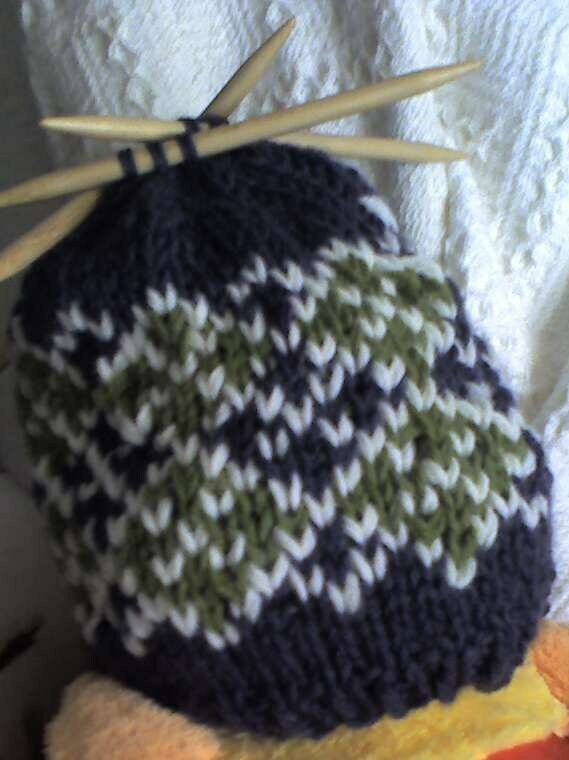 Finding an argyle that can be knit in the round was a major challenge. This is Lion Brand Wool Ease in Violet and Avacado. The cream is left over from my stash. The first attempt wasn’t to my liking so I ripped out part of it and reknit it. I still have the i-cord ties and pom poms (or tassels) to do. I want to get this mailed to her tomorrow. I also started a special project that I will finish by the end of this month. More on that later. 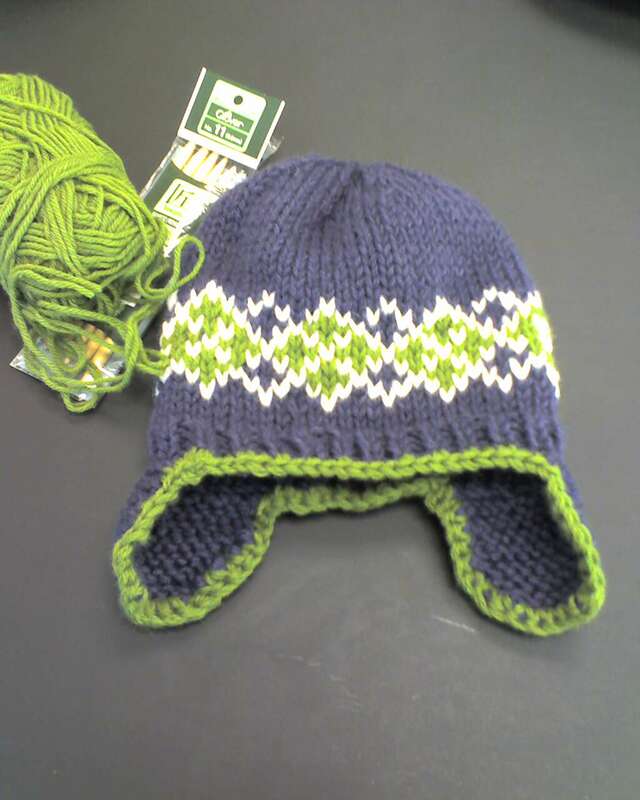 This entry was posted in knitting and tagged knitting, WIP, work in progress by Patti_is_knittinginflashes. Bookmark the permalink. The hat looks great. I ♥ argyle. I love your hat. You are a great knitter and not afraid to do something new. I would like to get into knitting again. I love the look of the hat…and those colors are awesome together….but would never wear it. Wouldn’t it smash your hair and then when you take it off….the hair would be fly-a-way? Huh? Huh?